Shortage of good teachers main hurdle in imparting skill-based education in the state. Faculty members of the respective engineering colleges who get trained through a ‘train the trainer’ module conducted by the company or TASK master trainers. 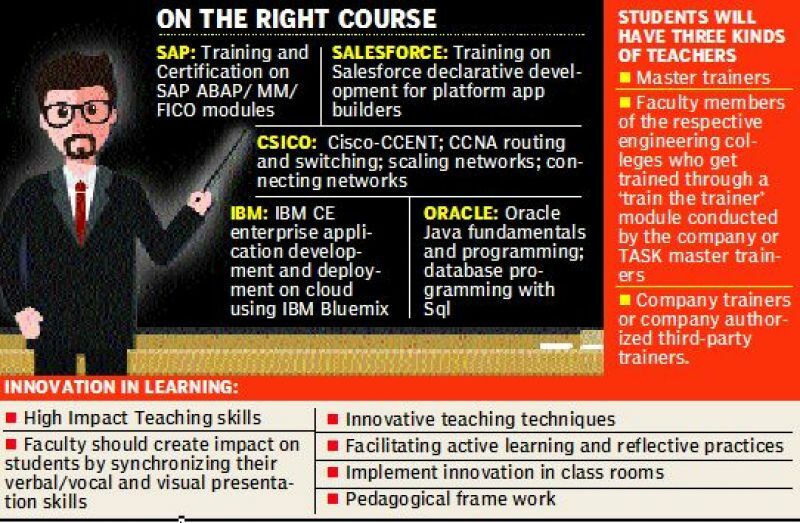 Hyderabad: Though the Centre and the state government are encouraging skill-based and job-oriented courses, experts say that the quality of faculty and teachers does not meet expectations. 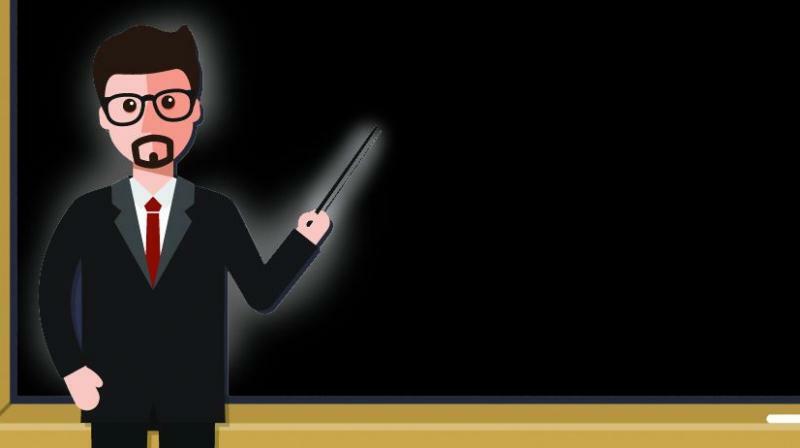 According to education experts, the mushrooming of colleges has led to shortage of quality teachers. “Teachers recruited to skill the students are themselves not fully equipped. Training the teachers is an important aspect to improve the quality of education.” said Prof. N.V. Ramana Rao, director, National Institute of Technology (NIT), Warangal. Teachers say that their working conditions are responsible for some of them being poorly skilled. Other state governments were retaining teachers by enhancing the age limit but the TS government had not done so, he said. The Union human resources development ministry’s proposal, making a doctorate mandatory to recruit university teachers by 2021, would surely help improve the quality of teachers. “Once qualified teachers are recruited, they can adapt to the new technologies and can also teach the students,” Prof. Satyanarayana said. Mr Sujiv Nair, chief executive officer, Telangana Academy for Skill and Knowledge (TASK) said, “Getting skilled teachers is one of the biggest challenges.” He said TASK had trained more than 3,000 faculty members in the FDP. “When we deliver programmes like SAP, Oracle, Java etc. we ensure that the faculty is trained to become a master trainer, who in turn trains the students. So skilling the faculty is very important,” he said. The Telangana Academy for Skill and Knowledge (TASK) has trained over 2 lakh youth and faculty since its inception, said chief executive officer Sujiv Nair. The academy extends employment assistance to students who trained with it; 7,000 candidates have secured employment with various organisations, he said. TASK collaborates with reputed technology organisations and extends those courses to its registered colleges and students. The registered students will be trained by master trainers from TASK, faculty members of engineering colleges who are trained by TASK and by company trainers or company authorised third-party trainers.